Nature Crafts, Create Herb Pots For Your Windowsill By Recycling Yoghurt Pots. Don't Buy Herb Pots, Make Your Own! 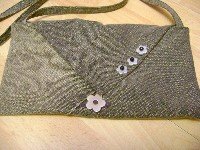 Nature crafts can be simple and easy just like this one. It requires very little effort and will save you money if you usually buy herbs from the supermarket. 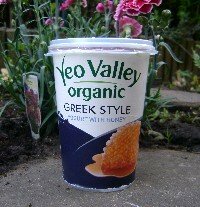 A lot of people, me included, buy those pots of herbs from the supermarket that fall over as soon as you put them on the window sill :) For the price of a packet of seeds you can make a few of these pots using yoghurt pots as propagators. 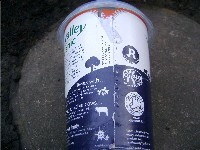 To start this nature craft you need a big yoghurt pot like this one. The most important thing isn't the height of the pot, as it will work with a smaller pot, it's the tight fitting plastic lid that comes with it! This will become the propagator lid and then a saucer for the pot to stand on. Some makes of yoghurt have cardboard sleeves that you can just tear off. These are the best type! What you are then left with is a clear plastic tub with a clear plastic lid. 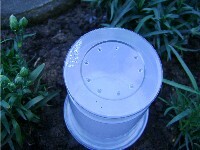 Make some holes in the bottom of the pot for drainage using a compass or other pointy thing. 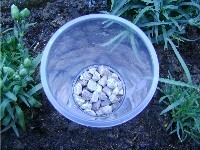 Put some gravel in the bottom of the pot again for drainage. 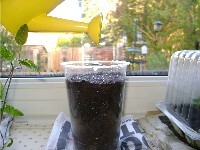 Fill your pot up with soil. 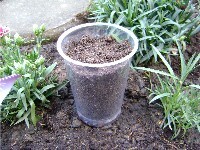 Seeding compost would be the very best but just soil from the garden will usually work. Most supermarkets sell compost now very cheaply. 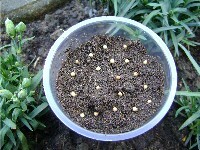 Put your seeds in following the instructions on the packet and cover them with a sprinkling of soil. Make sure you use a watering can with a rose or a mist spray to water your herb pot every day. 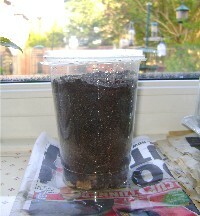 Then put the lid on and put it on a tray or some newspaper on the windowsill. In a week or so you should have some seedlings showing. Once they get too big you can remove the lid and use it as a saucer. 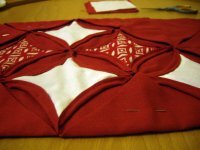 If you have enjoyed this craft sign up for our monthly newsletter and keep up to date with all the new projects.